Goa is perfect for a laidback vacation, where you do not want to do anything else, but enjoy. When you plan for a trip to Goa and choose from Goa budget tour packages that do not include a cruise, you need to think twice. A trip to Goa is incomplete without a cruise. There are beaches in Goa that offer cruises which you can pick from, and indulge in a captivating experience. River Mandovi is a scenic waterway, a cruise on which will captivate your senses as you set to sail. While live music sets the mood, you can indulge in some lip-smacking dishes, including the authentic Goan cuisine! Not only that, you get to witness the culture of Goa in the form of some mesmerizing dance performances on this Goa boat cruise. Sail amid the Arabian Sea and admire the crystal blue waters while on a catamaran cruise. This cruise tour in Goa is a classic blend of adventure and peace, wherein you can not only relax your senses but also enjoy some thrilling adventure sports. Visit Goa between the months of October and May and let the climate be your friend while you sail at a relaxed pace. 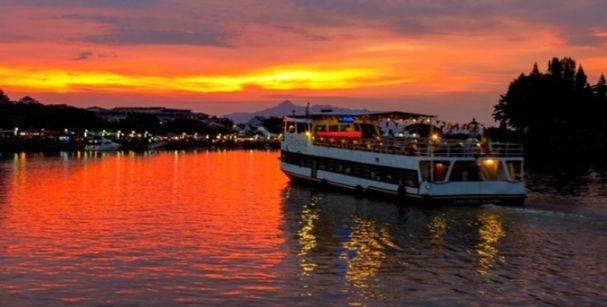 Indulge in a fascinating houseboat cruise that starts from the Chapora Fort. The cruise takes you to the sixteenth century, with glimpses of the neighboring villages, farms, and churches. These centuries-old structures add a rustic feel to the city, which is a sight to behold. Relax as you sip your favorite drink amid the Goan waters. You can pick this one day cruise in Goa and enjoy a stunning view of the sun making its way home. Not only that, you can also try a hand at fishing at the cruise. Do not forget to indulge in some authentic Goan cuisine while on the cruise. 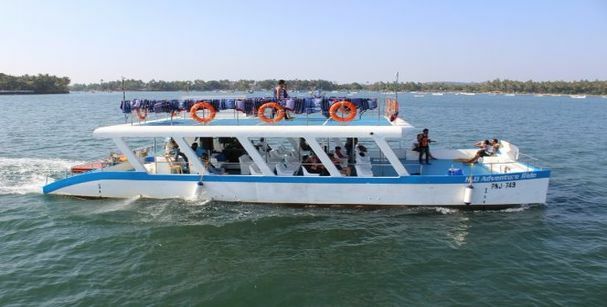 Traverse the Goan backwaters as you sail on a dinner cruise ride in Goa at night. This tranquil setting is perfect to spend time with friends and family at the journey. Drool over some sumptuous food at the cruise and enjoy the dance forms that represent Goa. The voyage is a heavenly abode which is all set to give you an experience of a lifetime. The cruise is the highlight of the state of Goa, and if you haven’t experienced a Cruise trip in Goa, it is time that you do. 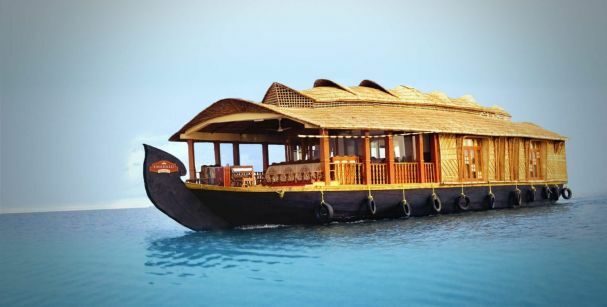 So do not forget to book a cruise while you browse for the best budget holiday packages in Goa!